Perkins customers across Italy always receive the highest standards of service, advice and support from the appointed distributor in the country, BU Power Systems Italia. Perkins’ continued success in Italy brings an ever-increasing number of customers through the distributor’s doors. To further strengthen its ability to meet the varied needs of those customers, BU Power Systems Italia has invested in a brand-new branch and innovation-packed workshop in Monastier di Treviso, Veneto. With its new service centre in Monastier di Treviso BU Power Systems gets even closer to their customers in a part of Italy where Perkins popularity is firmly established. Many machines in the area are powered by Perkins engines and machine owners will now have the quality and professionalism that BU Power Systems Italia brings, right on their doorstep. With a new operational office in Monastier di Treviso, Veneto, BU Power Systems Italia has strong foundations in place to exceed customers’ needs across the full spectrum of engine sales, aftermarket support and the supply of spare parts. 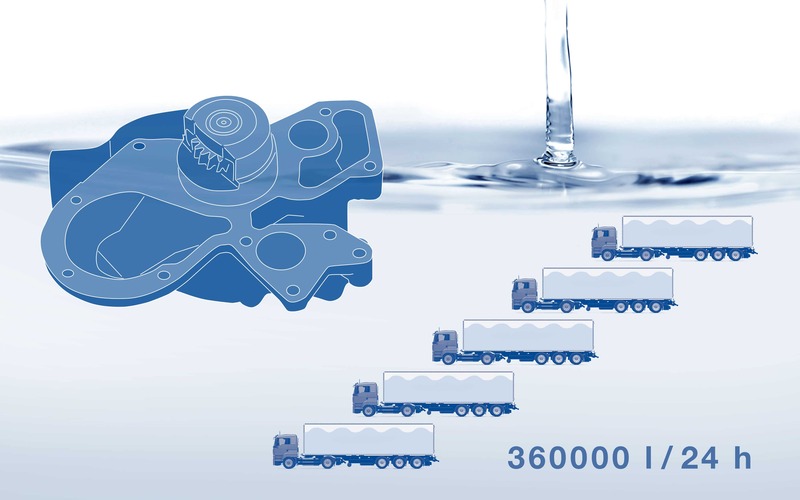 …within a 4.4 litre engine, 360,000 litres of water pass through the water pump every 24 hours it operates?